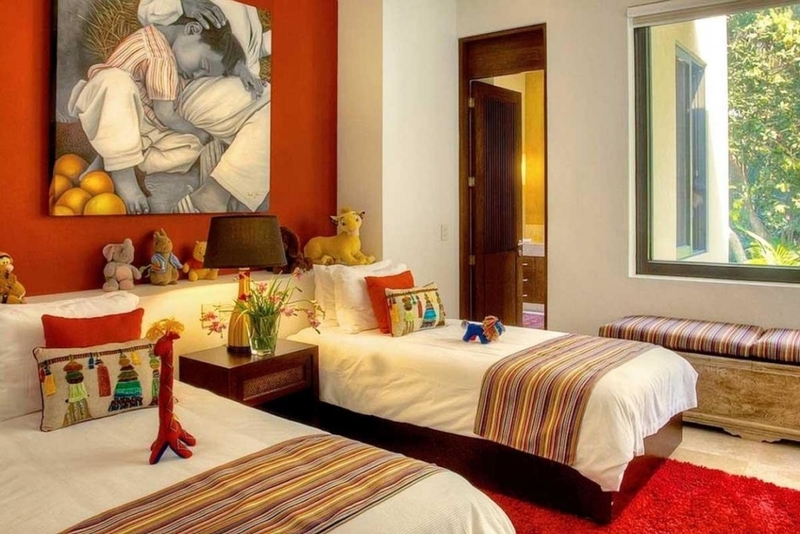 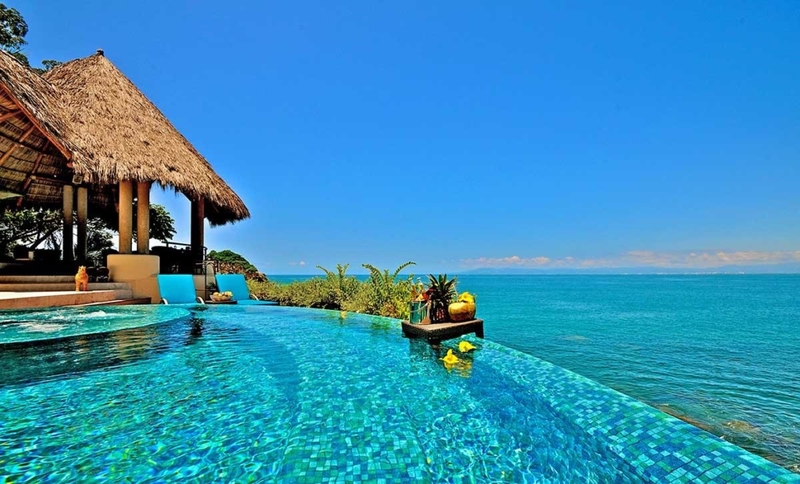 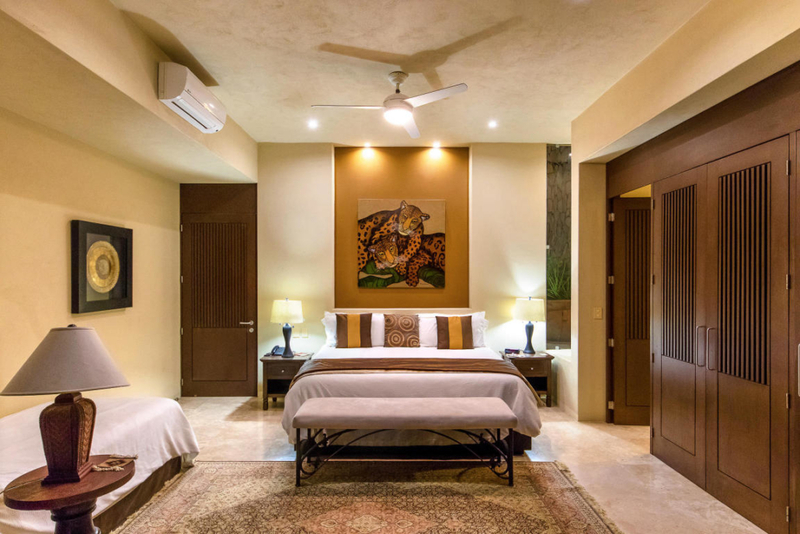 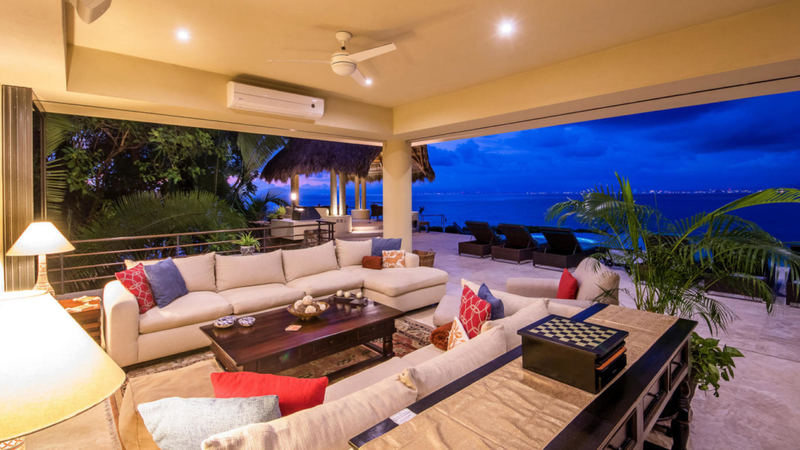 The Puerto Vallarta sun shines above and the ocean laps gently below at Casa Peña del Mar. 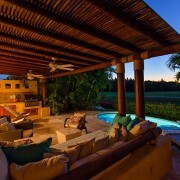 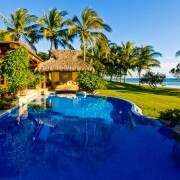 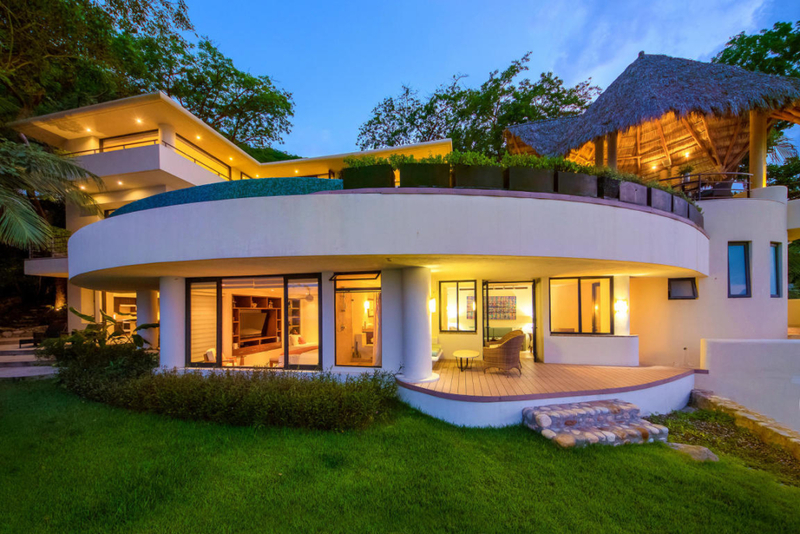 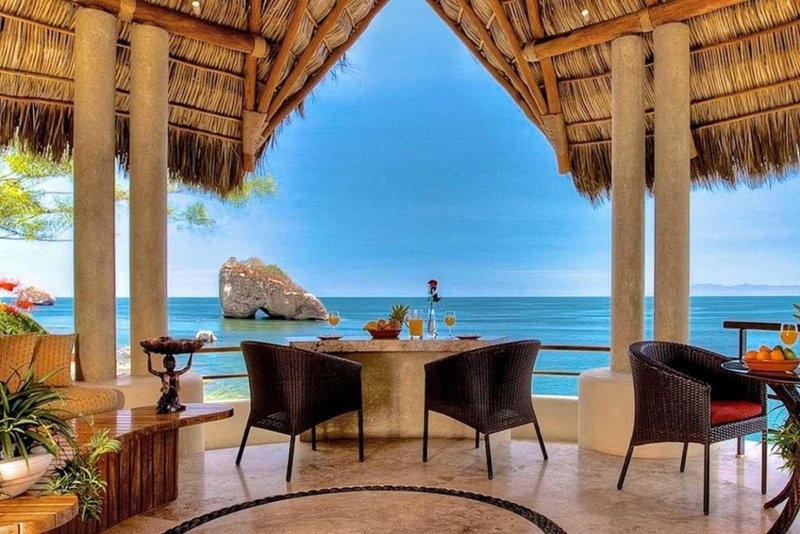 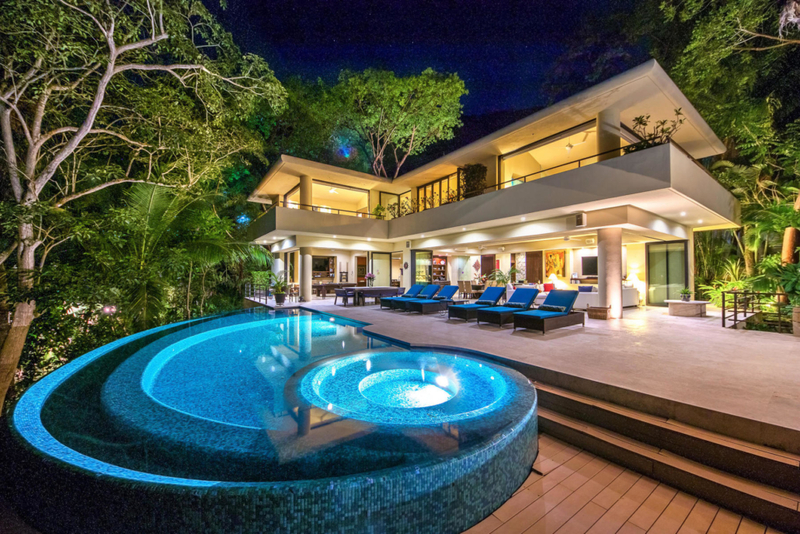 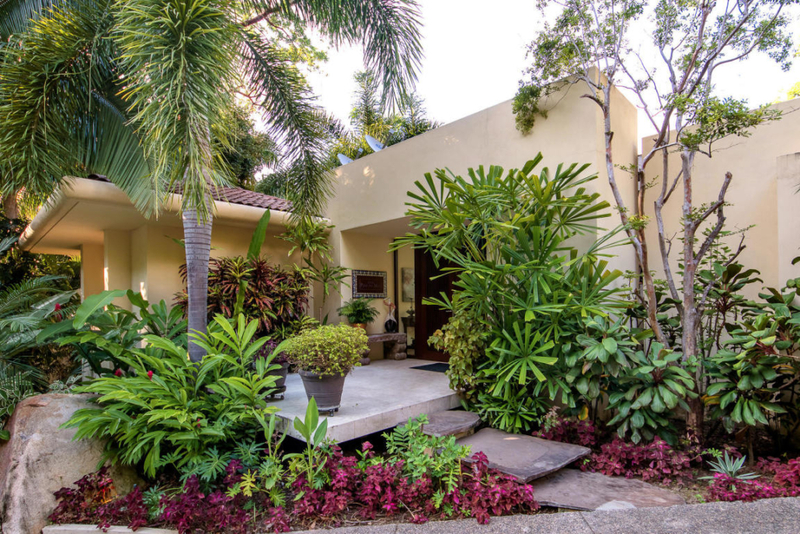 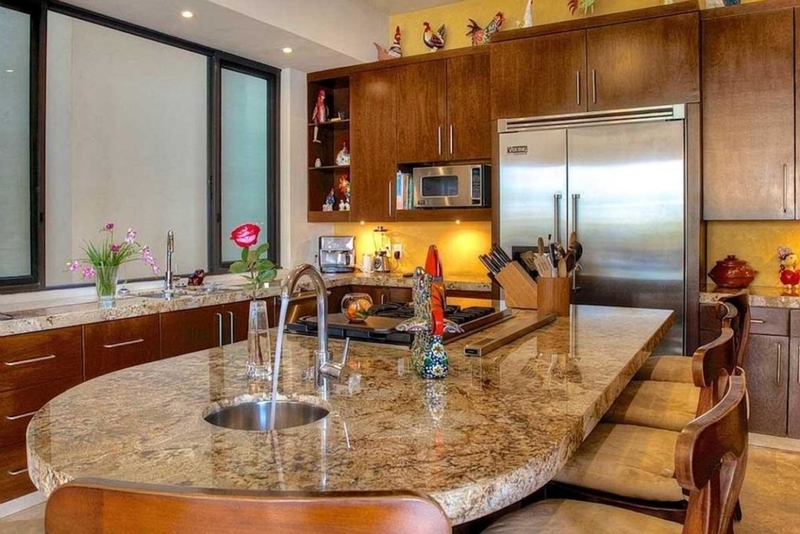 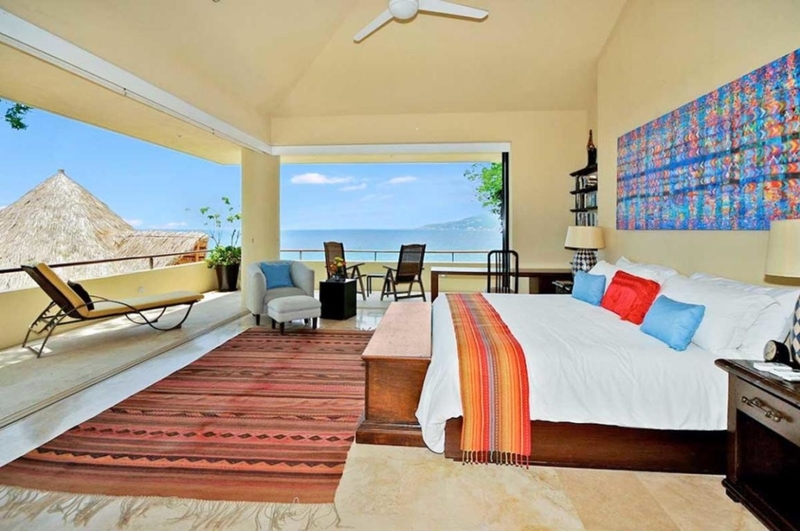 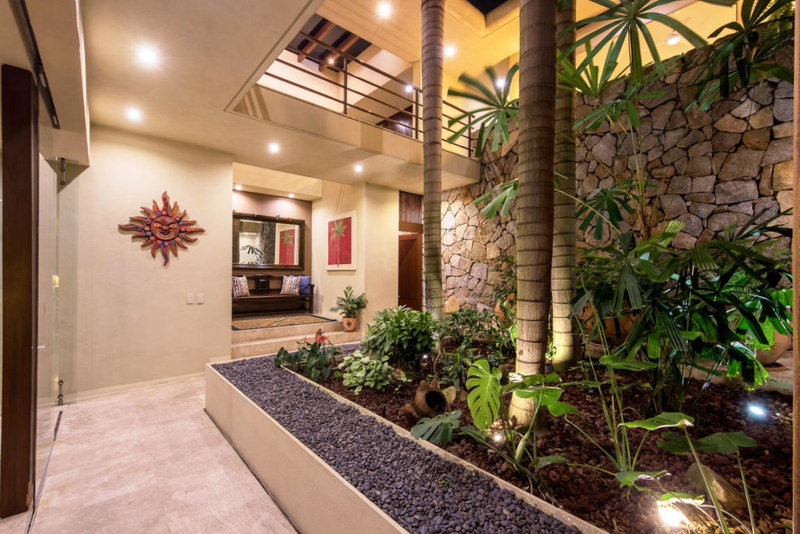 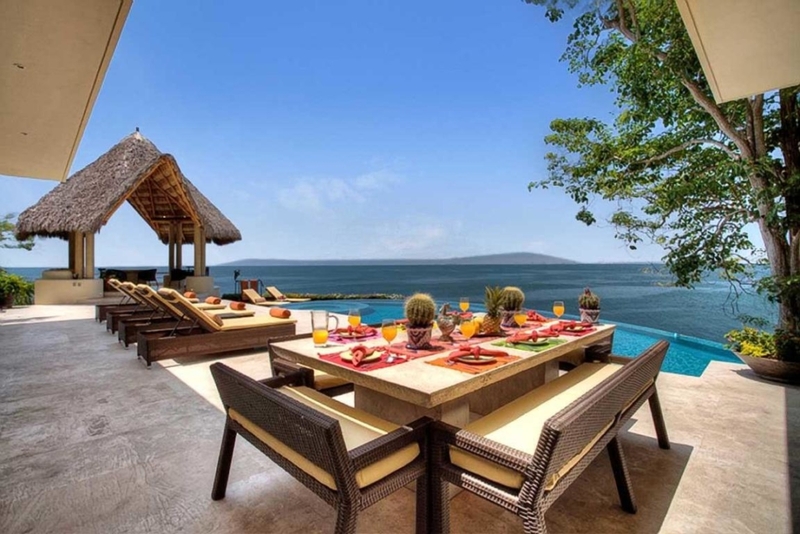 Set on the Bay of Banderas, with panoramic views of the water and the iconic Los Arcos formations, this luxury vacation rental is one of just nine custom villas in the exclusive Sierra del Mar at Los Arcos community. 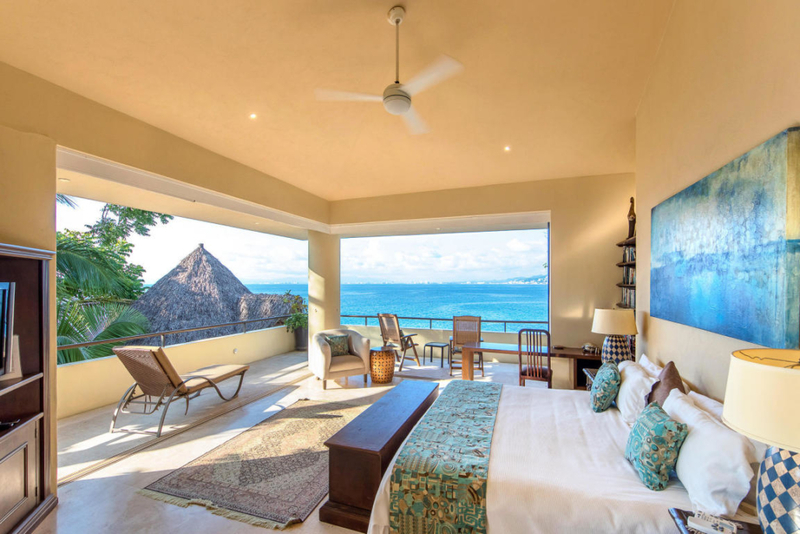 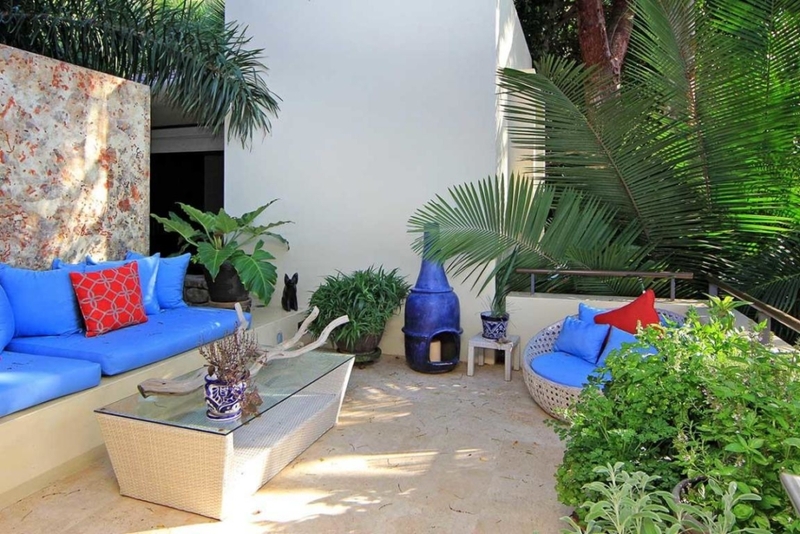 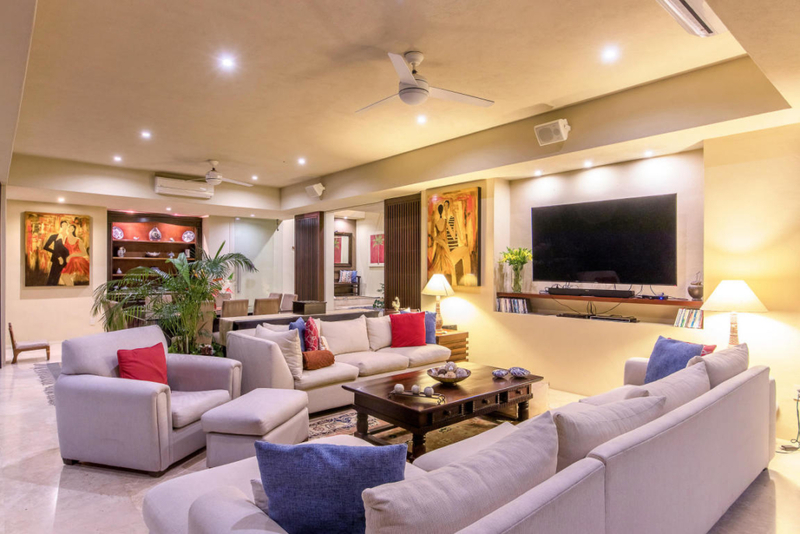 With inviting indoor-outdoor living spaces, private beach club access and a newly added master suite, the property is equally suited to a relaxed family holiday, warm-weather getaway with friends or a romantic escape. 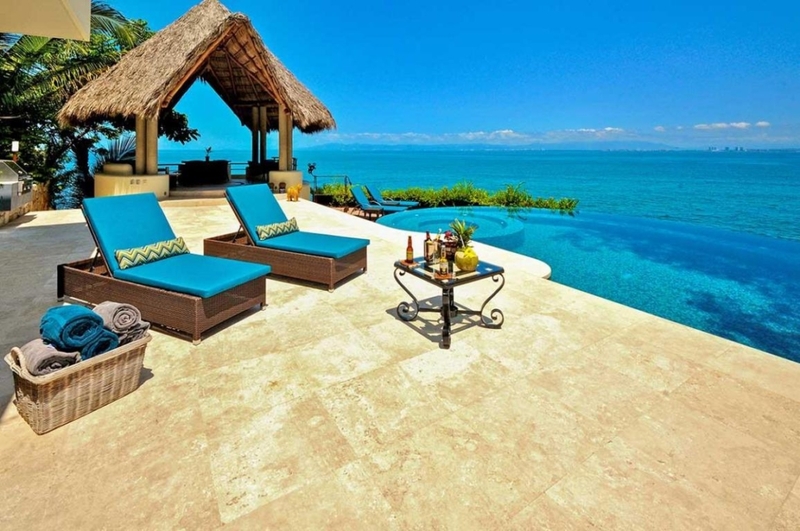 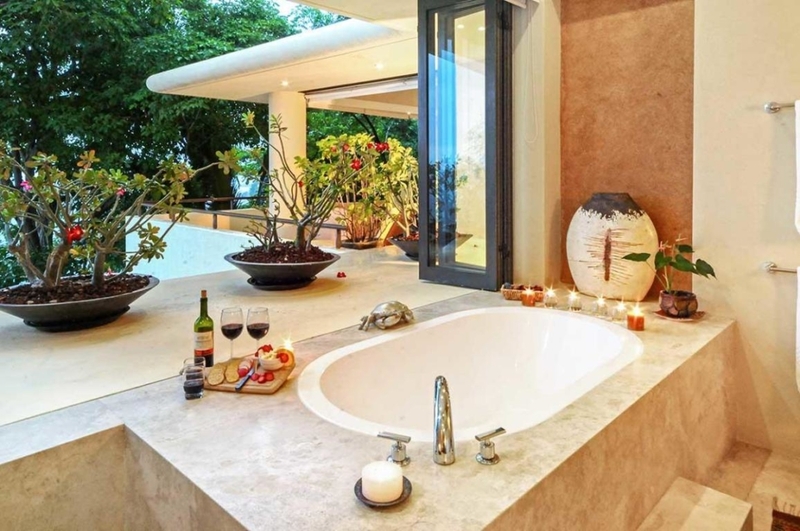 The villa’s name translates to “sea rock,” and you can indeed enjoy views of the distinctive stone features from the row of lounge chairs, heated infinity pool and hot tub on the oceanfront terrace. 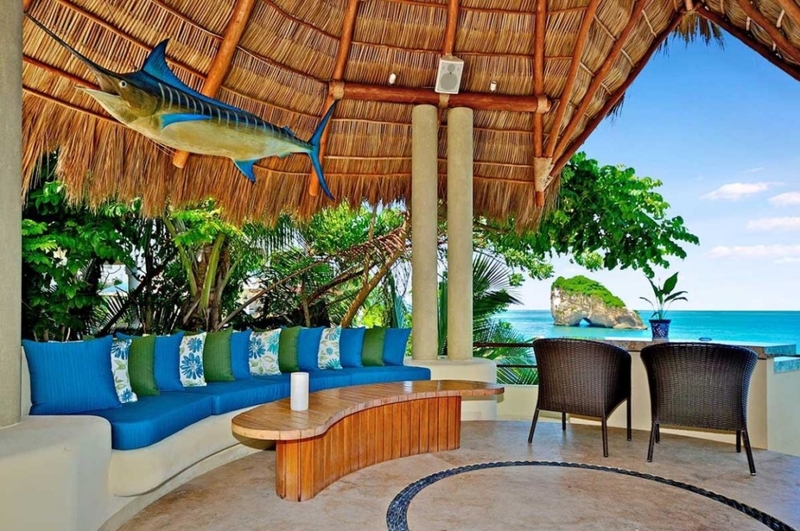 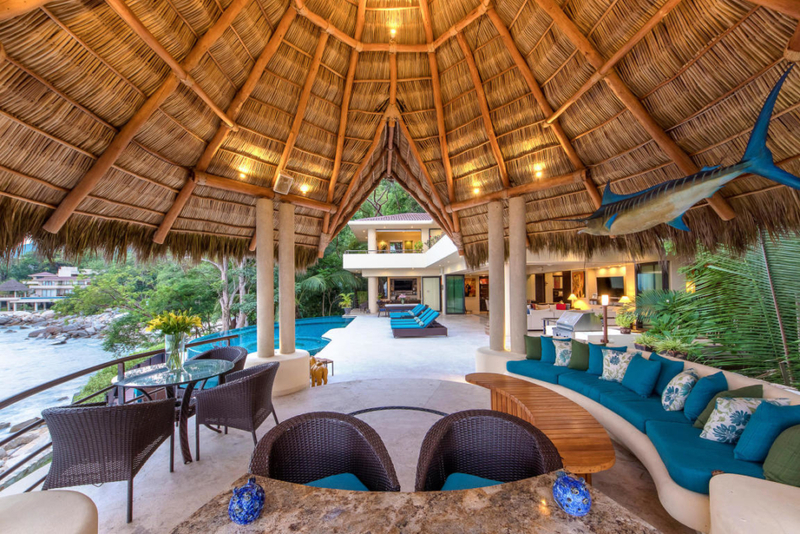 A palapa provides a shaded respite from the sun, and a barbecue, wet bar and al-fresco dining area invite you to linger outside into the evening. 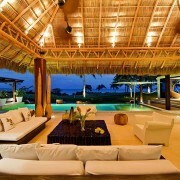 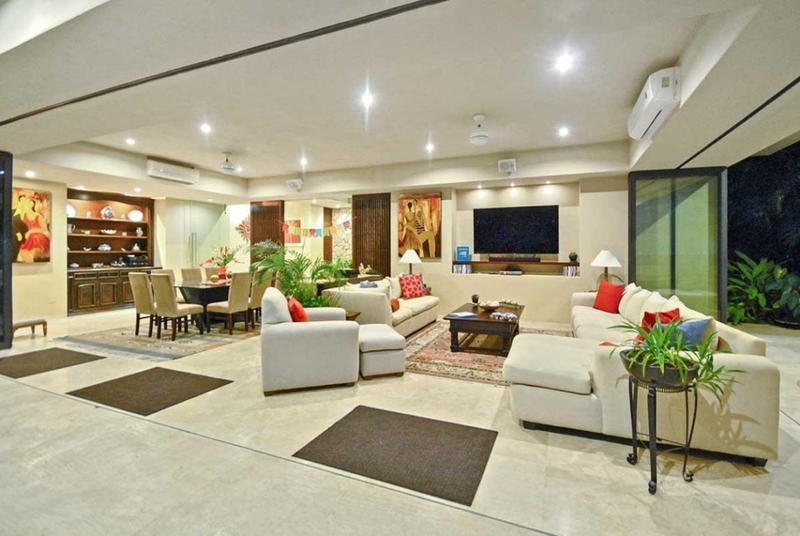 Of course, there’s also a sound system, satellite TV, and a games room with a pool table to tempt you indoors. 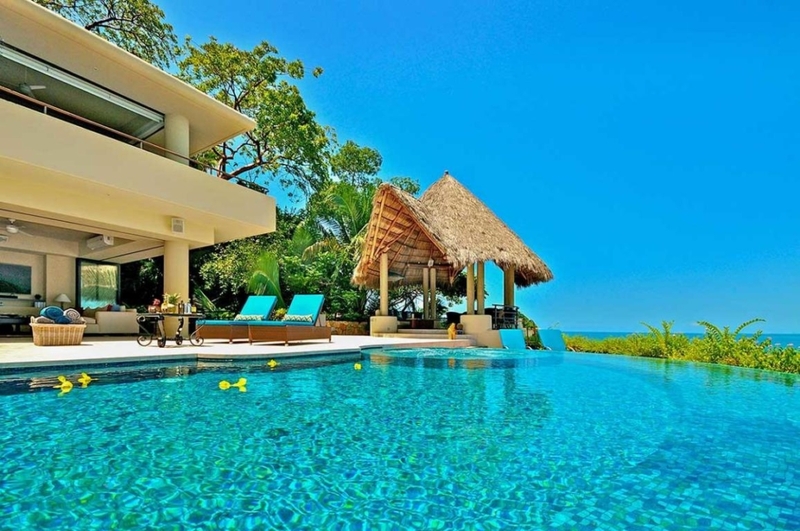 Your stay includes two meals each day from the villa’s chef, the services of other staff, and access to the community’s beach club, shared pool, fitness center, sauna and steam room.